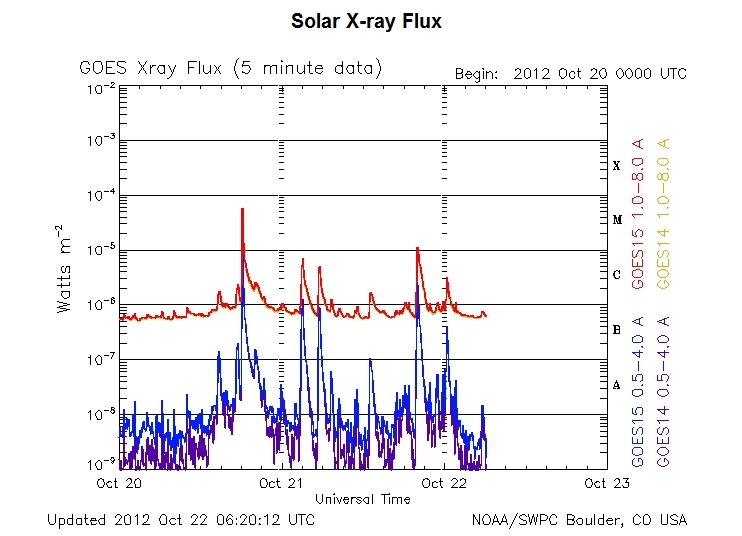 The sun produced a solar flare over the weekend on the higher end of the moderate scale. 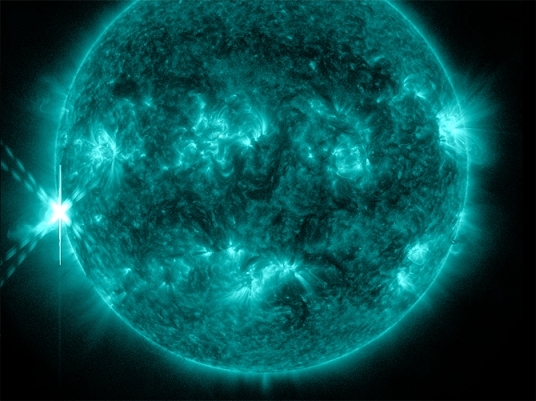 On Saturday, October 20, 2012, the NASA Solar Dynamics Laboratory (SDO) reported a "significant" flare which reached maximum intensity of M9 at 2:14 EDT/18:14 UT. 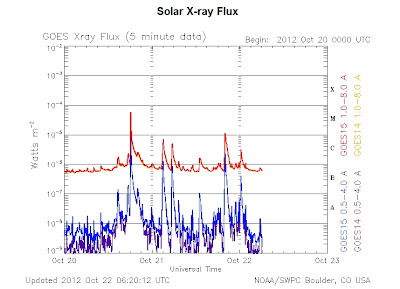 The Belgium Royal Observatory Solar Influences Data Analysis Center (SIDC) assessed Saturday's flare at M9.1 and also reported six lower intensity C-class flares. SIDC noted there was a CME associated with the flare, but it was not directed towards Earth. However, according to SIDC, "M-level flares are possible within the next 48 hours, with a slight chance for an X flare and a proton storm". SIDC noted the sunspot region associated with Saturday's flare is the newly labelled NOAA AR11598. SolarHam.com presented an interesting video compiling imagery from NASA on the October 20 solar flare. Commentary on this site also pointed out the cube shape that can be observed on the sun on middle right (not in the region of the flare). 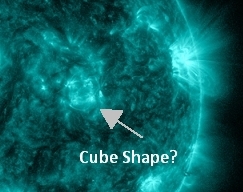 I have highlighted the cube shape on a photograph originating from NASA/SDO (full photo shown at the top of this blog). Visit SolarFlareWatch.com for the latest solar flare news, features and resource links, as well as fascinating historical references.